Just in time for remodeling season, learn what’s new in windows from an Andersen expert. Andersen’s automatic operator is built into the window frame and comes with a wall-mounted controller and a handheld remote that controls up to four windows — and a sensor that closes the window when it starts to rain. It’s available on Andersen’s 400 Series and A-Series awnings. It’s a first of its kind system called Verilock that allows security alarms to alert homeowners if their windows or doors are unlocked. Sensors are embedded in the window from the factory. This helps with both security as well as energy efficiency (an unlocked window is not as efficient). 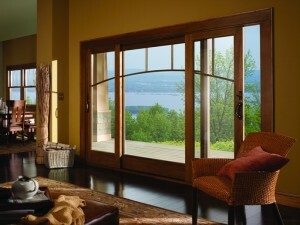 High End, Design-Focused Windows that are Most Energy Efficient in 110 years. Andersen’s A-Series is the most energy efficient product Andersen has built in its 110 year history — and comes in virtually any architectural style. It’s high-end and beautiful and also comes with a style library — http://www.andersenwindows.com/home-styles/ — that helps homeowners connect the right style of home with the right window. Andersen’s SmartSun glass rejects unwanted solar heat from the sun while at the same time allowing sunlight to stream through. With its other attributes that save energy, it can reduce heating and cooling costs by up to 25 percent.